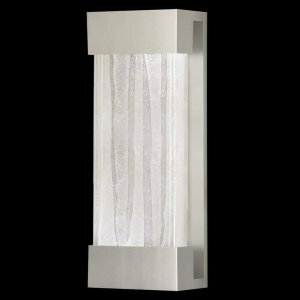 Indoor/Outdoor wall-mounted art-glass sconce in silver finish with handcrafted, polished block of crystal shards. This fixture is photographed with a bright white GU24 4100K CFL bulb(USA). For export, we recommend a 13W threaded CFL. 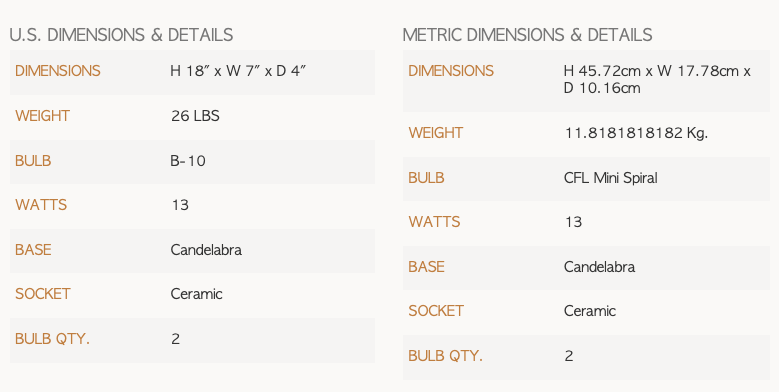 Export configurations are not dimmable.